While the trend is an extension of earlier, counter-cultural work promoting construction of small cabins and eschewing materialist norms, the tiny house movement has taken a new and definitive direction. And though tiny homes are sometimes proposed as a solution for homelessness, the mainstay of the movement has been and remains an effort to promote freeing and more creative living options for people who would otherwise find their way into traditional housing. Some tiny homes are built on fixed foundations, and where they are, my comments below about studio homes will be more applicable. But more generally, tiny homes are built on tandem-axle steel utility trailers – to simplify construction, avoid permitting procedures, and allow mobility – making them at once similar to and yet distinct from traditional travel trailers. Tiny homes can be owner-built or purchased turn-key. And as depicted in my photo, they are typically built to resemble traditional homes and use standard home-building practices (though there are notable exceptions – see Ark Tiny Home as an example). Once built or purchased, trailer-based tiny homes are fairly mobile, though they are generally less roadworthy than manufactured mobile homes. Typically, and taking advantage of their conventional home or cottage-like appearance (and lax or liberal zoning rules), tiny homes are generally parked on and integrated within residential yards, and often are moved rarely or only periodically. That said, tiny homes are gradually finding their way into traditional mobile home parks, where they are increasingly allowed, and are even beginning to be clustered together on dedicated tiny home lots (see Tiny House Community). With a long and rich history beginning in the early 1900s, and used as both primary residences and roving vacation houses, mobile homes – and mobile home parks and campgrounds – are nearly everywhere in the developed world. And if your ideas about mobile homes are more nostalgic, you should be aware that, as with the tiny home movement, mobile home living as become trendy, counter-cultural, intentional, and fully part of the digital age in recent years (see Pippi Peterson as an example). Here, my definition of mobile homes is quite broad. It includes drive-able motor homes, towed habitable trailers, and converted trucks, buses, and vans, all designed for use on public roadways and typically, though not always, manufactured in factories. Owing to their often factory-built nature and focus on road-worthiness, mobile homes are typically streamlined in appearance and resemble trucks, truck-trailers, or buses (but see Handmade Rolling Homes for examples of custom-built and often far from streamlined mobile homes). In practice, mobile homes can be easily, and often are quite frequently, moved between locations. Because of their ubiquity, mobile homes offer many advantages – in general and compared with newcomer tiny homes in particular. There are many mobile home manufacturers and reconditioners, and an enormous, varied, and differentiated market for new and used mobile homes. Because of this, and since mobile homes typically wear and depreciate fairly rapidly, there is a mobile home available for sale, rent, and/or renovation on almost any budget. In addition, mobile home parking areas, generally with utility hookups, are widely available. 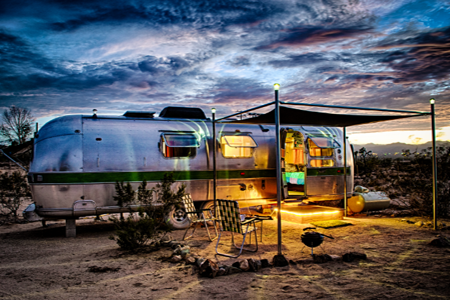 They include dedicated mobile home parks, campgrounds and public lands, and even residential areas (again, especially ones with lax or liberal zoning regulations). For all these reasons, mobile homes can be an especially flexible, low-cost, and turn-key approach to intentionally small housing. Technically, a studio is a self-contained, one-room apartment or freestanding housing unit, not counting its bathroom and kitchen. But for our discussion, I will define studio homes more broadly to include small fixed apartments and houses in general. As fixed housing, studio homes are quite common, though their overall percentage of our housing stock varies by area, and often by area land rents. And as fixed housing, studio homes of course can be either rented or purchased – and at a variety of prices, making them a highly accessible form of housing overall. Because of their commonness and long history, and like mobile homes, we may be initially apt to think of studio homes as less inspiring, avant-garde, or innovative than other efforts at small housing. But this is often far from the truth. 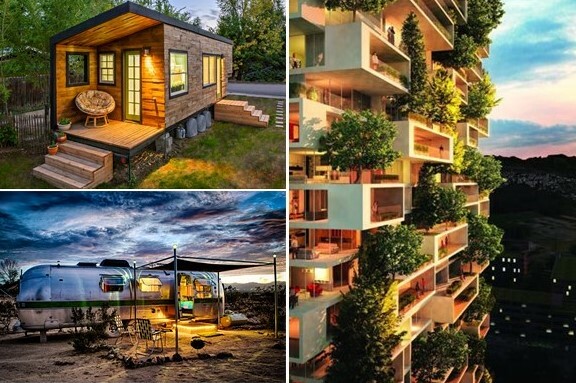 Owing to the same economic and cultural forces that have engendered resurgence and metamorphosis with tiny homes and mobile homes in our time, interest in studio homes is also quite vibrant and rising, especially in large urban areas (see Tiny Eclectic Amazing Spaces for examples). Design ideas for creative studio home living are wide and abundant online, and as my photo highlights, studio homes are the focus of many architects and urban planners (see Studio Apartment Architecture). As suggested, a key and obvious difference between studio homes, and trailer-based tiny homes and mobile homes, is their fixed nature. But unless the studio is purchased, it is important to understand that studio living still can be quite mobile, especially with a minimalist approach to our furnishings and possessions, and in areas where there are rich rental options. While a studio renter cannot move as easily as a mobile home dweller, movement at the end of each rental period is possible and in practice may afford levels of mobility similar to that of trailered tiny home dwellers (who today, and if only owing to the newness of the approach, often have more limited options for parking their homes than mobile home dwellers). Another important difference, if the studio home is purchased, is the potential for property appreciation and earnings when selling the property (or using it for rental income), though with some loss of personal mobility and perhaps higher monthly costs. 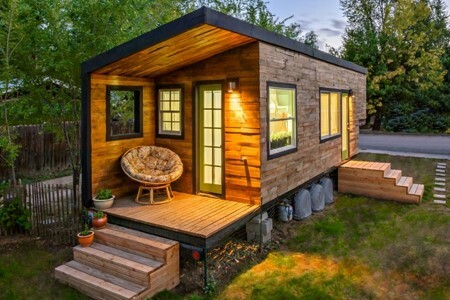 And unlike mobile homes generally, and perhaps many tiny homes too, studio homes are likely to have a long lifespan and may require relatively little upkeep over time. Given these factors, either renting or purchasing a studio home can be a great housing option for practicing or aspiring minimalists. Which Is Best – For You? My chart below summarizes some important considerations when considering a tiny home, mobile home, or studio home for your principal residence. In the chart, I have assumed that you would build or buy a tiny or mobile home, while I have shown options for either buying or renting a studio home. If you want to consider or have the opportunity to rent a tiny or mobile home, the information regarding renting a studio home is likely applicable. As you can see in the chart, and as we have touched on already, each of the four options listed has natural advantages and disadvantages. Tiny homes and mobile homes generally offer lower up-front costs than purchasing a studio home, but may be subject to higher housing wear and depreciation of our initial investment to build or acquire the home. Purchasing a studio home, by contrast, often requires more money upfront or ongoing mortgage (purchase) payments, but offers a long-lived, though less mobile, investment that is likely to appreciate in value over time. Notably, the fourth option of renting a studio home offers an interesting and in many ways hybrid alternative to the other small home options – involving higher ongoing costs but without the varying natural disadvantages of the other options. Importantly, all of the options have several commonalities. 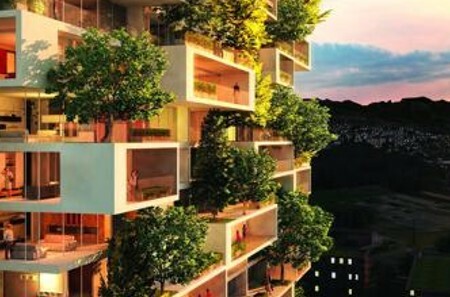 They are each likely to provide a lower-cost lifestyle and ecologically smaller footprint than purchasing or renting larger homes. All are highly susceptible to neighbor or neighborhood impacts (noise, litter, lifestyle issues, etc.) owing to their typically limited buffer zones – though three of the options allow a means to rapidly respond to negative neighbor impacts, via moving. And all of the options, in themselves and because they demand less of us and can free resources, offer enormous creative opportunities to design and shape our living space, larger lifestyle, and long-term quality of life. On this last point, I would also underscore that tiny, mobile, and studio home living all require a commitment to minimalistic, mindful, or intentional living. While some may find this prospect limiting or constraining, the truth and experience of people employing this approach to life today, in a wide variety of formats, is very often the reverse. Let me know what you think in the comments section below. This entry was posted on March 13, 2016, 12:38 pm and is filed under Buildings, Communities, Designs, Ideas, Technology. You can follow any responses to this entry through RSS 2.0. You can leave a response, or trackback from your own site.